OLD PARKED CARS. 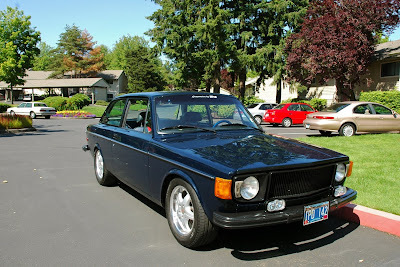 : 1973 Volvo 142E. "The car is a 1973 142e. I am the original owner. Every time something wore out I replaced it with something better until the point where you saw the car on Thurs. The motor is overbored .123", has an Isky cam and lifters, ported and polished cylinder head upgraded to double valve springs. 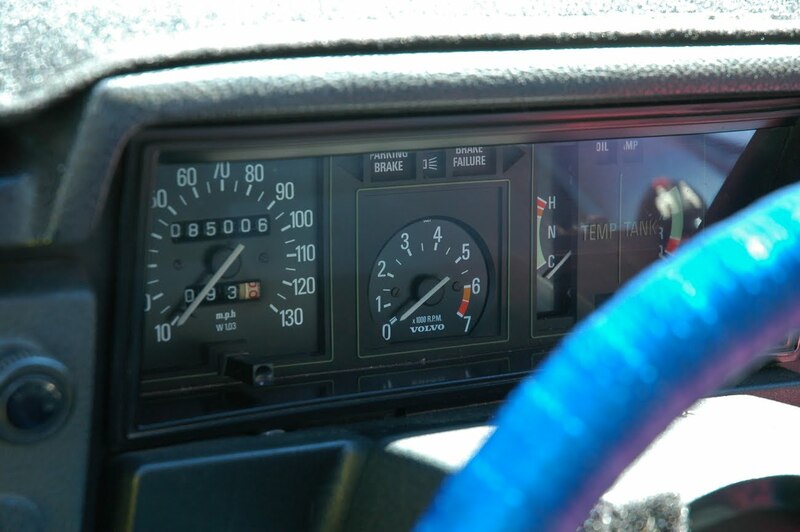 There is a modified fuel injection computer to allow real time adjustment of the mixture from the dash. A pyrometer on the dash indicates mixture status. The ignition has been upgraded to electronic. The exhaust system is a custom one-off type 304 stainless mandrel bent unit with a custom built tip. The transmission has been upgraded from the standard 4-speed to a 4-speed with electric overdrive. The suspension has been upgraded with 600 inch-pound springs and Bilstein shocks. The front Bilsteins are normally used on a Dodge Class C motor home so the ride is quite firm. The sway bars have been replaced with a 7/8" front bar and a 3/4" rear bar. Polyurethane bushings are used throughout." But no parking in the red zone! well done. be proud of that car, it's a looker. I can't stop staring at it, it's so cool. the rim and tire combo really completes the look. This is a really cool car with a cool story. That dashboard is gold! It would be hard not to feel smug with such a cool Volvo. It looks the business. susrprised you call it a 142e and that you added the electric overdrive. 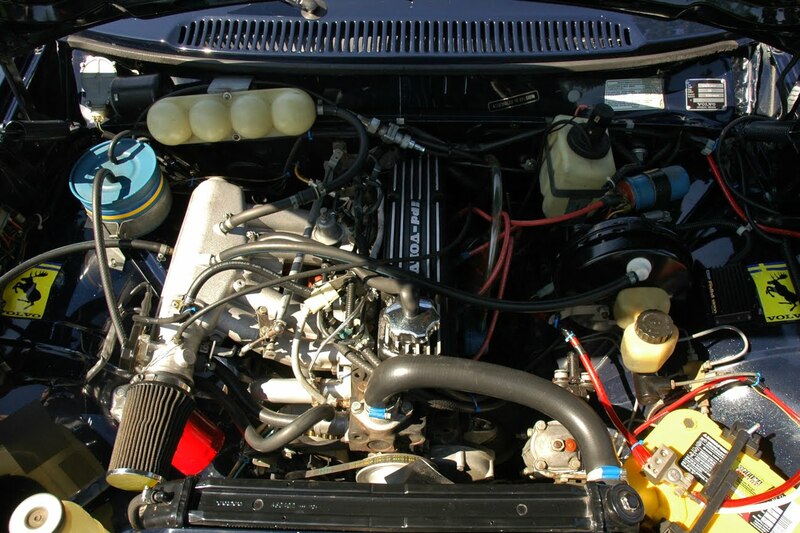 The 142e came with overdrive standard (that's what the e stood for)as I recall. The "E" designated fuel injection vs carbs (which were the "S" models). The 140 series cars used M41/M410 transmissions originally (3 spd/3+OD), never the M46 (4 sp + electronic OD, later replaced by the 5 speed M47). The M46 is more robust, and more suited to today's highway speeds. Perhaps it was a Canadian only option but the overdrive transmission was available in the E model only. The S model had the standard transmissions. The S models were assembled (here) in Halifax, Nova Scotia, but the E-models were imported. They also had leather interiors and other bells and whistes. My father had a 1971 E model, with overdrive. 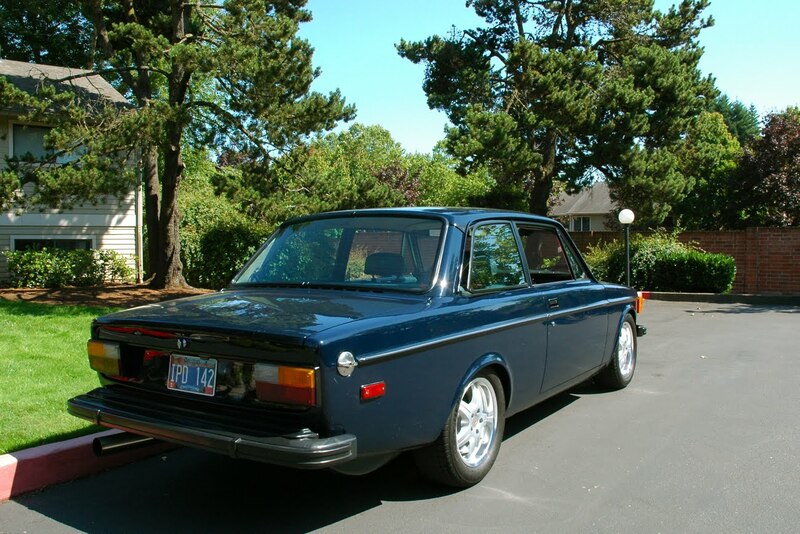 I had a 1974 and 1977 both bought new, but they were S model, 4 speed and were considerably cheaper, with cloth interiors-and carbs for sure. Cool car, great history. This is the sharpest Volvo you've ever posted. Gearboxes in 140-series was M40 (4speed), M41 (4speed+OD) or Borg-Warner BW35 (auto). 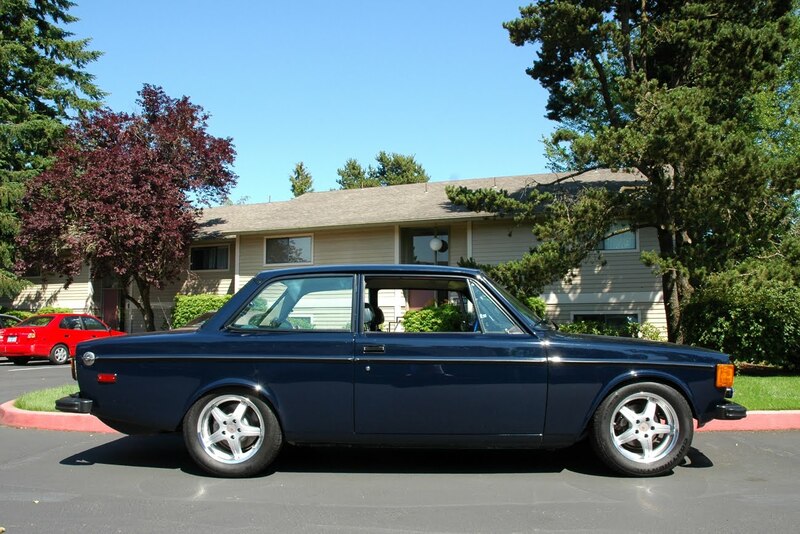 No 3speed in any Volvo since mid60s, and it was in "plain jane-models" of 122 or PV544. 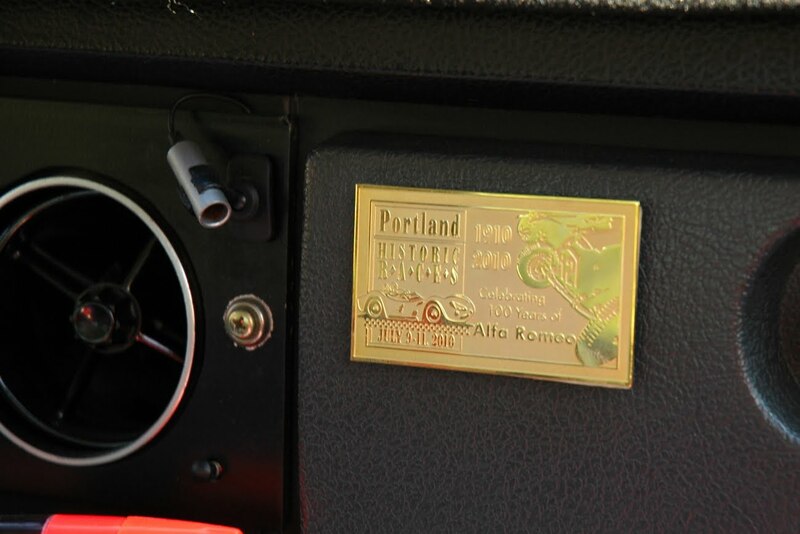 The front grilla in this car is from an older one, 1971 or 72 and made of aluminium. Correct grille is made of plastic.